Latex is defined as: Any of several natural or synthetic colloidal polymers suspended in an aqueous solution. Basically: rubber particles in water. Latex is rubber, NOT plastic. All mattress components and pillows from Talalay Global are 100% Talalay latex. We use a proprietary blend of natural and synthetic latex to provide the optimal balance of comfort and durability. 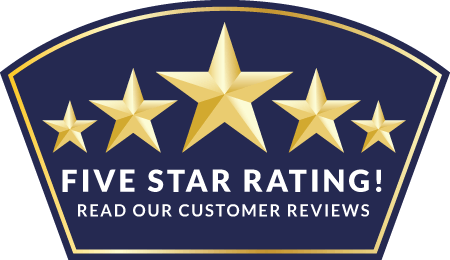 Our products are manufactured with pride in the USA, ensuring the highest product quality standards throughout the manufacturing process. EMISSIONS: Our manufacturing facility does not emit any harmful elements into the air. Our finished products don’t emit harmful vapors. Our Talalay, unlike memory foam, does not off-gas any harmful chemicals. SUSTAINABILITY: Talalay Global uses millions of gallons of natural latex each year. 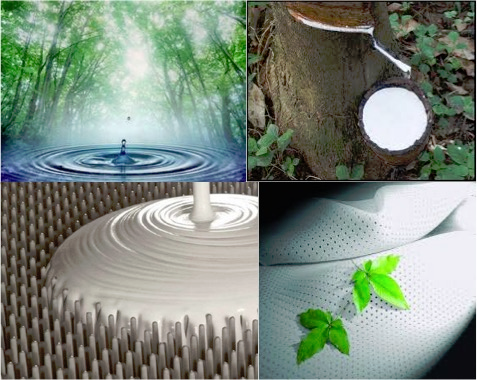 Natural latex is harvested from trees that help “scrub” excess carbon from our air. Our Talalay breathes up to 7x better than other latex or foams for cooler sleep. One of the fastest growing concerns with bedding today is sleeping hot. This is a legitimate concern because not only is it uncomfortable, sleeping too hot interrupts the quality of our sleep as we continuously move to find a cooler spot. This can occur from both mattresses and pillows. The heightened awareness of sleeping hot is primarily due to increased use of Memory Foam in mattresses. Memory Foam has a collapsible cell structure that traps body heat and radiates it back at us resulting in uncomfortable perspiration. Talalay is sometimes confused with Memory Foam because of extensive Memory Foam advertising. Nothing could be farther from the truth. The Talalay rubber cell structure resists collapsing and allows air to circulate. This breath-ability whisks away our body heat preventing mattresses and pillows from becoming an oven. Talalay Global has gone one step further and developed Talalay Celsion which is a unique formulation of Talalay with special phase change properties. Talalay Celsion actually helps regulate the consistency of body temperature for a temperature neutral sleeping experience. All our Talalay Latex products are certified OEKO-TEX Class 100. This means that our products do not contain allergenic materials that form carcinogenic arylamines of the MAK-groups III A1 and III A2 (see the Oeko-Tex website for a list of chemicals included in these groups, link to oeko), pesticides and chlorinated phenoles, heavy metals or formaldehyde. Our Talalay also meets the standard for skin friendly pH and is free from chloro-organic carriers and biologically active finishes. In other words, our Talalay is the healthiest material you can sleep on. Our Talalay is inherently resistant to Mold, Mildew, bacteria, and Dust Mite resistant. Most people don’t consider their mattress as a contributing source for respiratory problems and allergic reactions. We think of our bed as a “safe haven”. The reality can be much more disturbing. We shed millions of microscopic skin cells and perspire nearly 1 pint of water every night. The microscopic skin cells and water vapor fall through the weave of our linens and mattress cover landing on the cushioning layers below where they become a food and water source for mold, mildew, bacteria and dust mites- it can’t be avoided, and it’s gross. Whether your “landing pad” cushion layer is hospitable to these infestations is the controlling factor to the amount of hazardous dust created from your mattress & pillow. Foams such as Memory Foam & Polyurethane Foam are environments where these contaminants thrive, so if they compose the top cushion layers of your mattress you may have a problem. Independent testing shows that our Talalay is inherently resistant to mold, mildew & bacteria proof- these organisms simply won’t grow on it. Furthermore, it’s dust mite resistant so these critters will prefer to be elsewhere, not right next to your face as you sleep. Zero cases of allergic reactions to Talalay Global products have been reported. Talalay Global has been making Talalay pillows and mattress components for over 35 years. Every year millions of products are sold using Talalay Global Talalay. The FDA tracks allergic reactions to latex products in the USA. Not once has there been a report of an allergic reaction attributed to any of our Talalay products. Talalay Global offer an odor free product. Unlike memory or polyurethane foam Talalay does not off gas. Both Talalay and Dunlop processes start with a formula mixture of liquid latex. Talalay Global – Talalay is produced using only 100% Natural or Blended formulations to meet optimum quality standards. THE DIFFERENCE IN PROCESSING ARE THE TWO ADDITIONAL STEPS THAT OCCUR WITH TALALAY PROCESS – #2 VACUUM & #3 FREEZE. #2 Vacuum – This allows any amount of latex to be evenly distributed throughout the mold creating precise and varied firmness with the finished latex. The more liquid latex that’s poured into the mold the firmer the resulting solid latex. Therefore, if less liquid latex is used, a softer more supple piece of latex results. This differs from Dunlop in that Dunlop process has very little ability to vary the firmness or feel of the finished solid product while maintaining its structural integrity. The liquid formula is poured onto a belt and you get the same, dense piece of latex every time. The only way to soften the feel of Dunlop latex is to add “fillers” into the liquid latex formula which result in solid latex that is flaky and breaks down quickly. The Talalay process takes four times longer than Dunlop with two additional process steps that improve the consistency, quality and feel of the finished latex. Combination of liquid latex, soaps and rubber curing agents are mixed together in a temperature controlled, stainless steel tank. Compound is transferred to the pressroom where it is whipped into a froth and injected into an aluminum pincore mold. The pins create the unique aerated cell structure of our latex. The mold is sealed and a vacuum is pulled to extract air and completely fill the mold cavity with compound. Foam is then chilled at -20 degrees. Freezing (unique to the talalay process) prevents particles from settling and ensures a consistent cell structure. CO2 is introduced to gel the foam. 220 degree heat is applied to cure the foam as the core is baked into a solid state. Talalay cores/pillows is removed from the mold and placed on a conveyor belt. The conveyor belt then brings the core/pillow through a five-stage washer, using FRESH WATER, which removes residual soaps and curing agents using fresh water. Mattress is transported to a two-lane dryer, which completes the curing process and removes residual moisture. Once dry, EVERY mattress core undergoes a nine-point firmness consistency test to ensure all cores meet stringent quality standards. Cores are expertly cut and constructed to meet our customers’ product specifications. Product efficiently shipped to the customer: Domestic, International, Direct to Retail.